Date changes are permitted up to 48 hours prior to departure (availability dependent). Please see our full cancellation policy here. This Great Barrier Reef Deluxe Cruise is jam packed with inclusions. 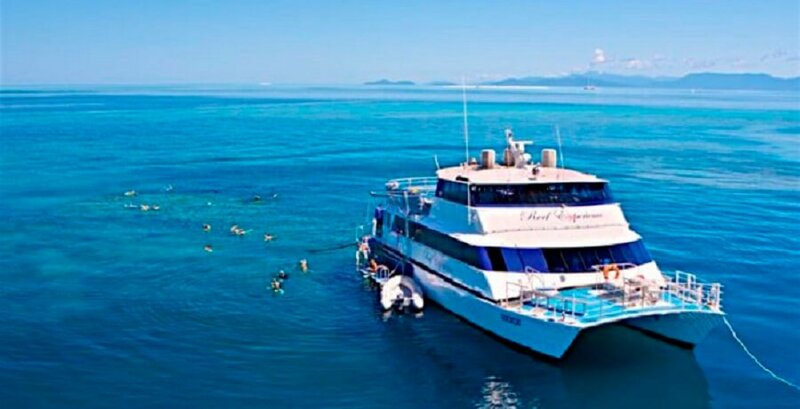 What better way to see the Great Barrier Reef than on board a state of the art, modern and fast catamaran. The catamaran will get you to the outer reef in a little over an hour giving you more time to enjoy this world heritage listed reef. 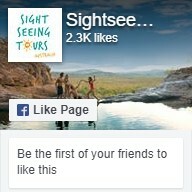 Everything on the day is included and this tour is the only fully inclusive Great Barrier Reef Tour on offer. Either select your free Cairns accommodation pickup or meet the tour at the Marlin Jetty. Boarding begins at 7:20am and be prepared for a hearty BBQ egg and bacon roll with fruit platters, tea and coffee (vegetarians are catered for so please advise in the booking notes at the time of booking). At 8:00am we start the cruise to the Outer Reef. Whilst on route we learn how to use snorkelling and dive equipment from the experts with a comprehensive equipment demonstration, you will receive a safety briefing and a marine biology presentation. You will arrive at your first Great Barrier Reef site at approximately 9:30am. 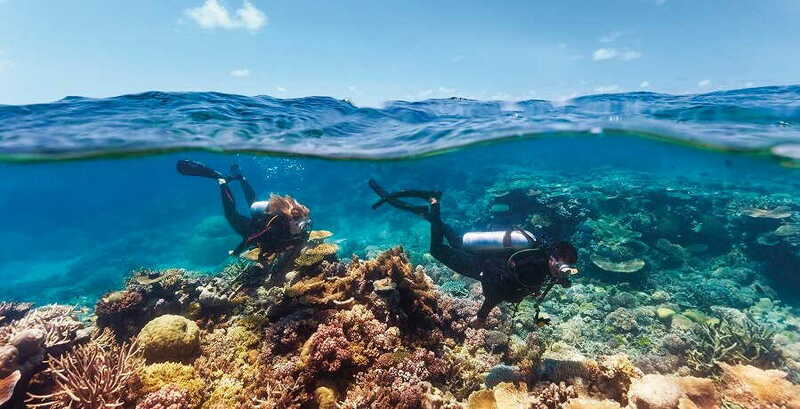 Unlike other Great Barrier Reef Tours that prenominate reef sites, our captain will wait until the day to decide which Reef site will offer the best conditions for snorkelling and diving. The possible reef sites you may visit are Hasting Reef, Breaking Patches, Norman Reef or Saxon Reef. 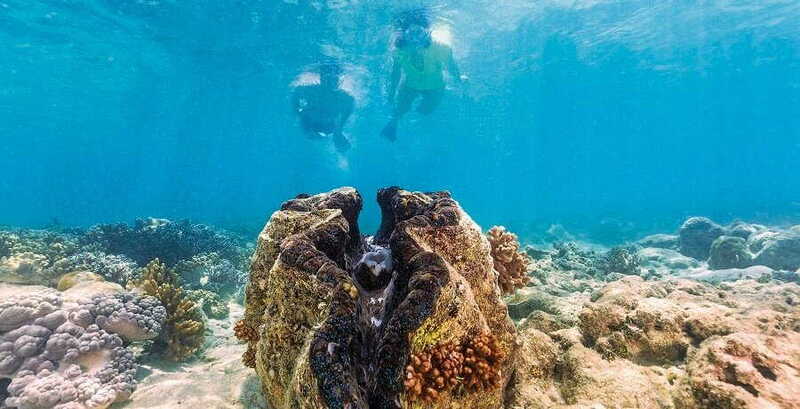 All reefs are world class snorkelling and dive sites and they all offer something uniquely different. The captain will take into consideration, weather conditions, season, wind direction and water clarity when making the optimal decision for all on board. 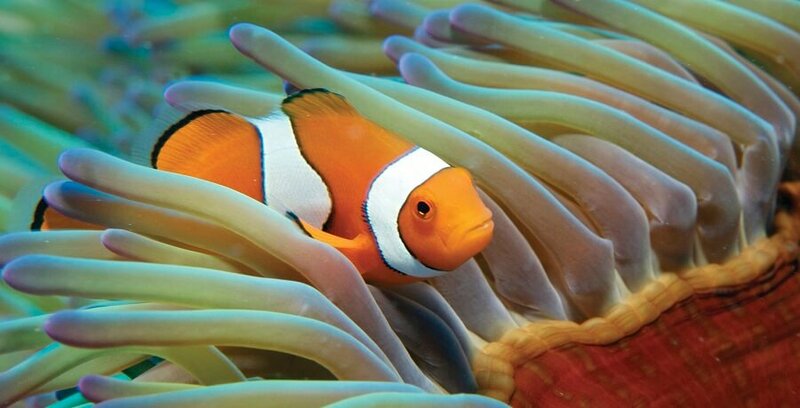 Once you have arrived, its time to explore the wonders of the Great Barrier Reef. Explore the Reef on a Glass Bottom Boat Tour (complimentary). On rare occasions in adverse weather conditions the glass bottom boat tour may not operate. It is also time to undertake your complimentary certified dive or beginner dive (no experience necessary). You will soon understand why the Great Barrier Reef is considered to offer the best reef sites and dive sites in the world. Whether it’s your first time diving or you’re a seasoned veteran your dive will blow you away. 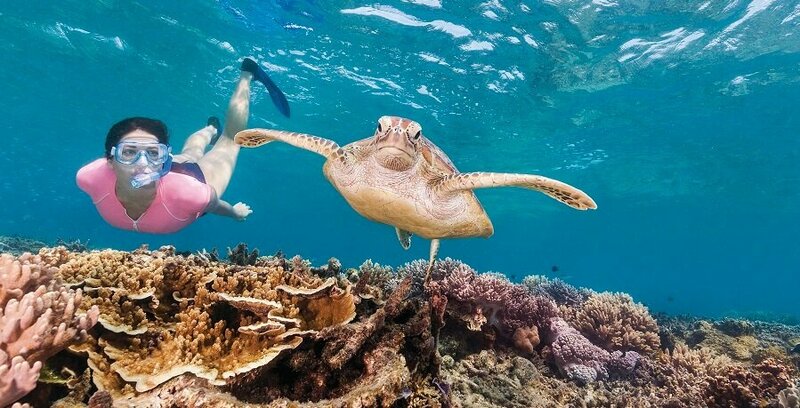 You will also have time to do a Great Barrier Reef snorkelling tour. At 12:00pm your lunch will be served on board the vessel where you can indulge and refuel with a delicious BBQ lunch with an assortment of salads. It’s then onto your second dive site where you can spend 2 hours exploring the new reef, with the free use of snorkelling equipment or select to upgrade to your second certified dive or beginners dive. The cruise back to Cairns will be spent relaxing and reminiscing on what will undoubtedly be one of your best days on holiday while you are served a complimentary glass of wine, with cheese and fruit platters.